A couple weeks ago, I put together a Valentine’s/Prom photo-shoot. I rounded up models, hairstylists, makeup artists and a photographer. I made a story board of the head-shots of the models and an inspirational collage. This is a great visual tool for creative people. Before the event 3 of us demonstrated 3 different looks and featured 3 different products. I featured Loma Fortifying Reparative Tonic and a fishtail braid. Gracie featured Oribe Thick Dry Finishing Spray on her model with a textured curl set. Raquel featured Oribe Shine Light Reflecting Spray on her model with soft curls pushed to the side. I made props too! I bought cardboard, paint, flowers, and hearts from Michael’s Craft Store and glued and taped them all together! 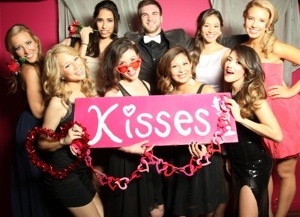 I constructed a kissing booth and a “heart bubble-blowing” back drop (thank you Pinterest). It was super fun and we had a great turn out. I could not have done it with out the help of my salon. 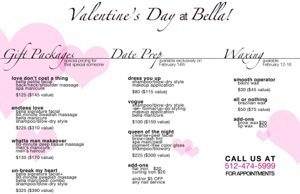 Bella’s hairstylists, makeup artists and front desk girls helped sooo much. Our models and photographer were so energetic and sweet! Thank you all for your continued support! 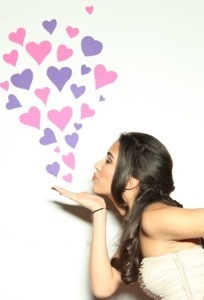 Check out the full Valentine’s/Prom Album on Bella Style Teams facebook page!